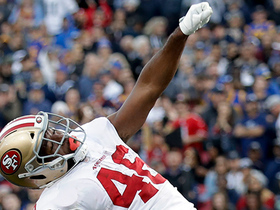 Morris isn't expected to re-sign with the 49ers, Matt Maiocco of NBC Sports Bay Area reports. 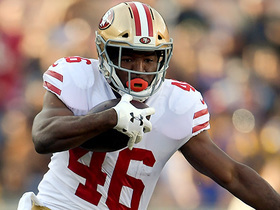 Analysis: With Jerick McKinnon (knee) joining Matt Breida (ankle), Jeff Wilson (shoulder) and special teams ace Raheem Mostert (forearm), the 49ers ideally wouldn't have any use for Morris, who took 111 carries for 428 yards (3.9 average) and two scores in 12 games after signing with the team in mid-August. The 30-year-old running back could be looking at another lengthy wait on the open market, assuming he plans to continue his football career. Morris carried 16 times for 111 yards and one touchdown while catching his only target for four yards in Sunday's loss to the Rams. Analysis: Morris was a healthy scratch four of the last five games but took advantage when Jeff Wilson exited the game with a shoulder injury. The veteran running back was a popular waiver addition after Jerick McKinnon tore his ACL in August, but he totaled only 317 rushing yards prior to Sunday's season finale. 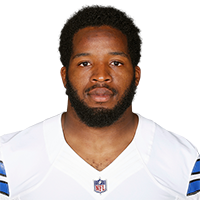 Morris' disappointing season comes to an end with 111 rush attempts for 428 yards (3.9 YPC) and two touchdowns, with eight receptions for 73 yards in 12 games. Morris (coach's decision) is inactive for Sunday's game against the Bears. 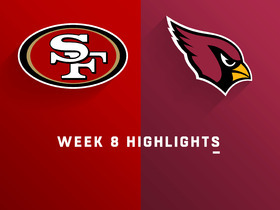 Analysis: The 4-10 49ers don't have much to gain at this point by giving the 30-year-old Morris work, so he'll remain inactive for the fourth time in five weeks and likely for the Dec. 30 season finale against the Rams, too. Matt Breida will lead the 49ers' backfield Sunday, with Jeff Wilson and Matt Dayes on hand to support him. Morris (coach's decision) is inactive for Sunday's game versus the Seahawks. 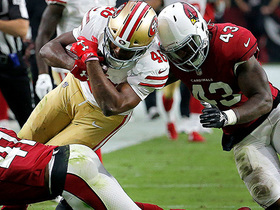 Analysis: With Matt Breida (ankle) back in the fold, the 49ers will roll with him and Jeff Wilson out of the backfield, which will result in Morris donning street clothes for the third time in four contests. Morris carried the ball two times for four yards in Sunday's 20-14 win over the Broncos. Analysis: Starter Matt Breida (ankle) sat this one out, and it was undrafted rookie Jeff Wilson who started ahead of Morris. The veteran has clearly fallen out of the 49ers' gameplan with nothing left to play for (this was his first action since Week 10). Breida's status for Week 15's matchup against the Seahawks is up in the air, but Morris won't carry fantasy value either way. Morris (coach's decision) is listed as inactive Sunday in Seattle. Analysis: For the second straight game, Morris won't be the preferred handcuff to starting running back Matt Breida. 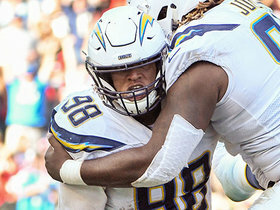 Instead, Morris will yield those reps to undrafted free agent Jeff Wilson, who racked up 41 yards from scrimmage on eight touches last Sunday in Tampa Bay. Morris (coach's decision) is inactive for Sunday's Week 12 tilt against the Buccaneers. Analysis: The veteran running back will take a seat for the first time this season, a rather surprising development considering he'd been sharing carries with primary back Matt Breida. Instead, the 49ers will turn to 2017 seventh-round pick Matt Dayes, who logged his first snap of the season against the Giants in Week 10, whenever Breida needs a breather Sunday. 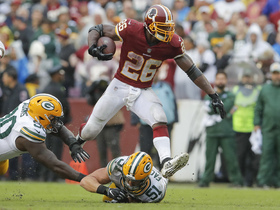 Morris rushed nine times for 19 yards in Monday's 27-23 loss to the Giants. Analysis: Morris received 33 percent of the backfield carries Monday, but he was vastly outperformed by starter Matt Breida (17 carries for 101 yards). The veteran has the primary backup role to himself following Raheem Mostert's season-ending forearm injury, but Morris' general ineffectiveness (3.4 yards per carry) and limited role severely limit his fantasy appeal. Morris rushed seven times for 13 yards in Thursday's 34-3 win over the Raiders. 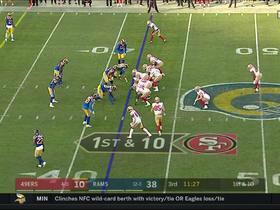 Watch how the Los Angeles Rams defense has struggled against the run in 2018. 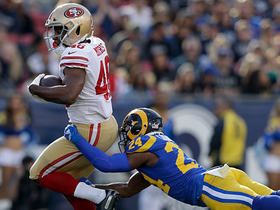 San Francisco 49ers running back Alfred Morris rushes for a 26-yard gain. Los Angeles Chargers safety Derwin James hits the ball from San Francisco 49ers quarterback C.J. Beathard and Los Angeles Chargers defensive end Isaac Rochell grabs the interception. Week 3 of the NFL season featured veteran running backs going strong, emerging young stars, trick plays and plenty of hurdles and leaps. 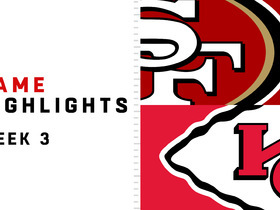 Here are the best runs from Week 3 of NFL action. 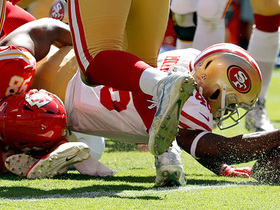 San Francisco 49ers running back Alfred Morris fights his way into the end zone and dives forward for a 3-yard touchdown against the Kansas City Chiefs.